The following post was written by Brett Hamilton, a SEND missionary and field leader in Poland. It was originally posted on the Missions Blog. I think this is an excellent example of the commitment we seek to foster in our senior missionaries to serve as mentors for new missionaries. Having served in Poland for over 20 years, I see that there are stages that I have gone through in my thoughts as to focus and priority of ministry. In the first decade of ministry on the field, I was focused on “reaching” a national population, in our case Polish. We focused very sharply in learning the language and did not go out of our way to build relationships with non-Polish people. After all, that’s who we were sent to serve. During the second decade of ministry, in addition to working with nationals, I gained a passion for helping my fellow missionaries. My wife and I shared the lessons we learned from our own struggles of educating and raising children on the field. We also saw how important it was to pray to the Lord of the Harvest to send out workers into the field, and pray that He would keep them there. 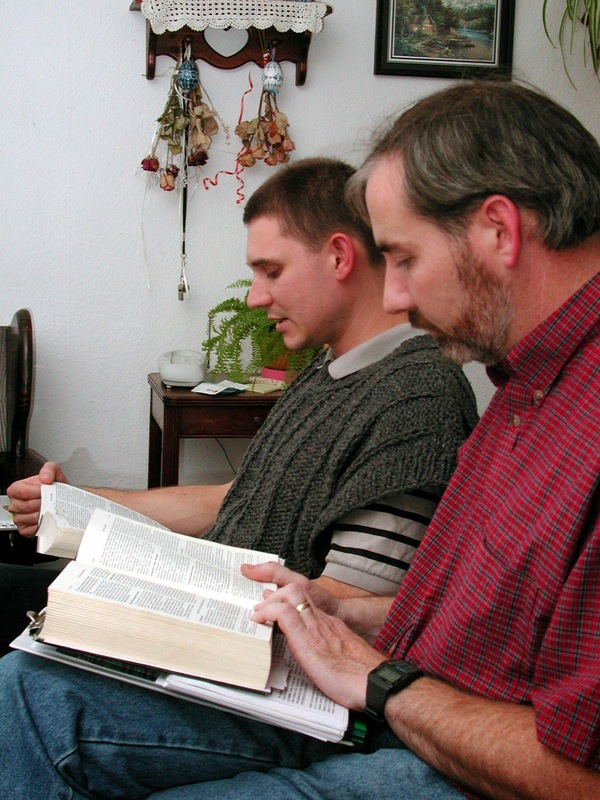 It is a huge investment to get missionaries to the field and through language studies. National churches have also seen a number of missionaries come and go and there is a bit of a fatigue factor that can show itself in a “wait and see if they stick around” attitude. This past 18 months, we have had two interns serve with us on the field—one man for three months who lived with us and shadowed me and another intern who lived part time with us and served as an administrative assistant. Both had very positive experiences and are pursuing longer term missions. Beyond the impact on these young lives, is the impact on myself. We are called to make disciples. There is a tendency for the thought to creep in that this is for “their” benefit. However, I learned through this process how much I needed the benefits from these relationships. Having my life so closely observed and followed put me on high alert and caused me to ask questions. “Is my life of the quality and discipline that would even be a life worth modeling? Am I spiritually fit enough to be a positive example to others?” You see, this experience of discipling others causes me to look into the mirror. The call to make disciples is not just for the benefit of the one that is being discipled. Having interns is a great help for those in the role of teaching to not grow lazy, to look in the mirror and evaluate if our lives are filled with the disciplines that will benefit others. This may be one of the key reasons why there is so much teaching and preaching on discipleship but there is relatively little being done—do we really want to expose our lives to others. Are our lives really of a quality that is like Paul where he says, “Follow me as I follow Christ”? Spiritual Disciplines for Ordinary People so that you experience "The Life You’ve Always Wanted"